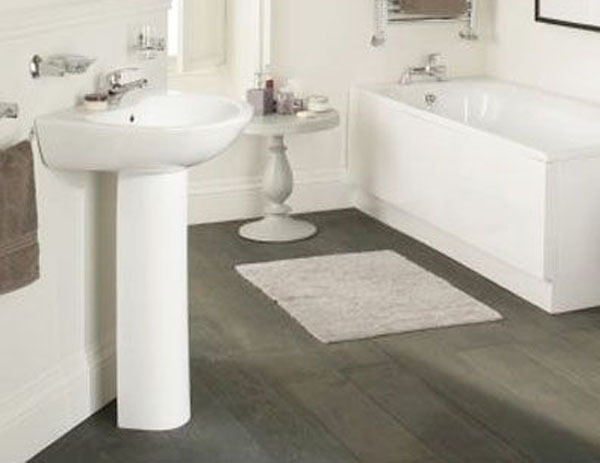 Galaxia Cascade M70 Full Bathroom Suite - Only £304.99! In stock now for just £304.99 including VAT! Hurry while stocks last! 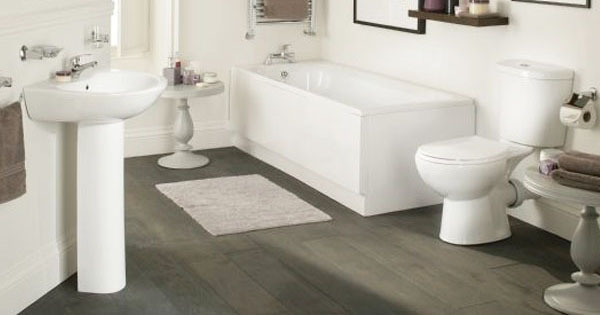 The Galaxia Cascade M70 full bathroom suite is one of our most popular sets due to its uncompromising blend of excellent value for money and superb quality. The ultra low price of this suite makes it an unbelievable bargain which cannot be missed. The suite offers an eye-catching angular design with clean, bold lines, making it an ideal addition to any modern home. 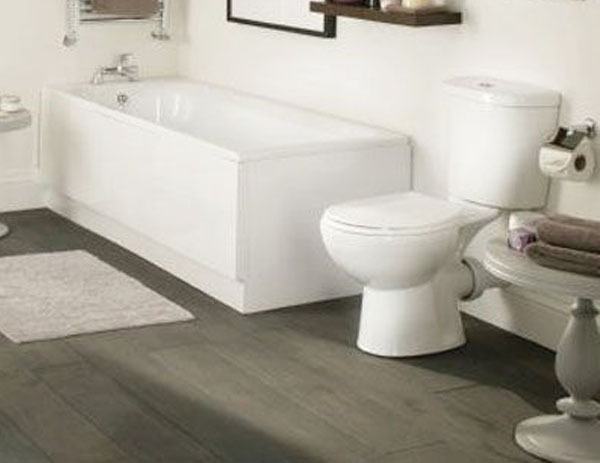 This is a complete set with everything you need for a full bathroom, at an amazing price, complete with a fantastic 5 year guarantee for added peace of mind. High quality acrylic finishing makes the set very sturdy and easy to clean, and also gives the suite a modern yet traditional look. With a timeless design that is also highly practical, it is little wonder that this set is among the fastest selling in the VIP range. The suite features a high quality Single Ended Bath which is intelligently designed to fit perfectly in to any type of bathroom. The bath us constructed from an extra durable 5mm acrylic, enforced with fiberglass for added strength and endurance - this makes it ideal for long, relaxing soaks. All this, plus a 5 year guarantee, giving you unbeatable peace of mind at an extremely competitive price. 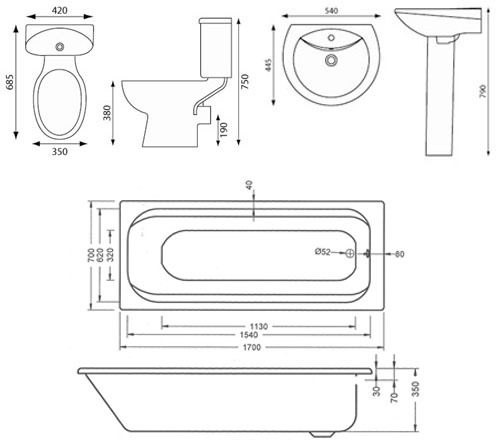 The modern yet practical design is continued on the WC and basin, both of which are compact and easy to clean. 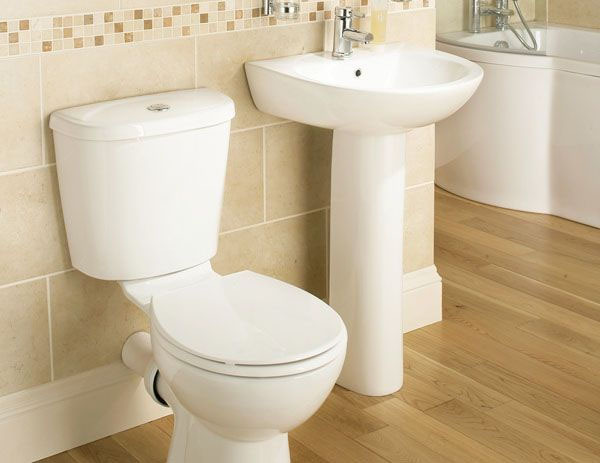 The cistern comes with dual flush fittings to UK standard which are pre-fitted. Also included for no extra cost is a Heavyweight seat, providing extra sturdyness and quality. The taps are from the exquisite Tec Studio V range, which is based on an ultra-modern cubic design, perfectly reflecting the look and feel of the suite. These taps feature ceramic disc technology, greatly increasing product life and performance, making them an ideal choice. They also feature a quarter turn mechanism for added ease of use. Basin is supplied drilled with one tap hole as standard, but can be provided with two tap holes on demand. Please select your preference from the drop-down menu below. Review: Just ordered the Galaxia M70 suite for the first time from your site for my daughter's new house. Great value, thanks!